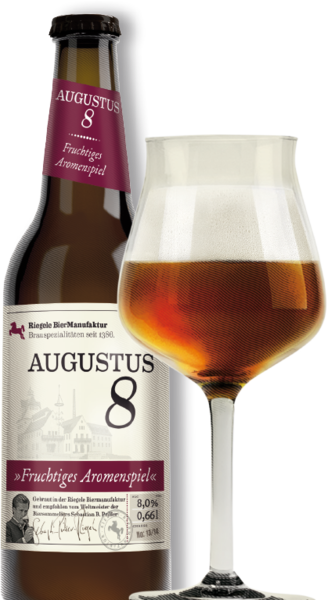 Augustus 8 owes its fruity flavor and 8 percent alcohol content to the Riegele 2-mash brewing process, with a mixture of unique fermented yeast, Pilsner wheat, and Munich malts. 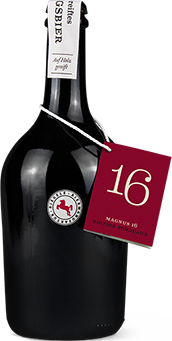 Augustus 8 is a tribute to Emperor Augustus, the founder of the city „Augusta Vindelicorum,“ today’s Augsburg and the home of Riegele brewers. The beer reflects the great history of Augsburg and the long history of the Riegele brewery. Emitting a unique, fruity aroma, the beer pours hazy amber and has 8% alcohol.